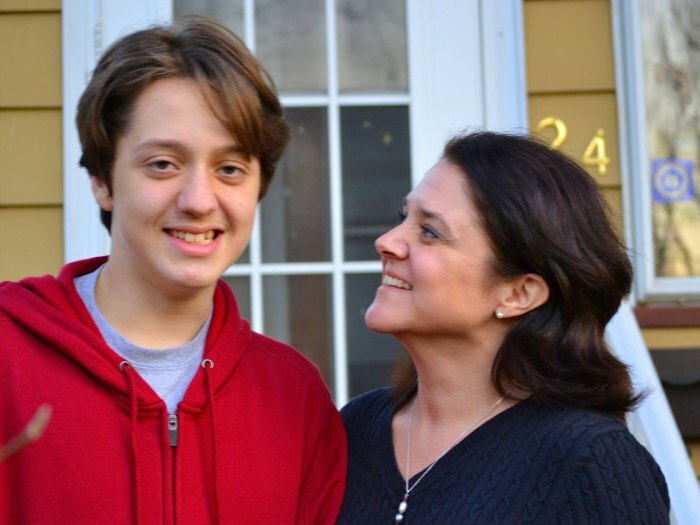 Tim Bumpus, age 14, and his mom Catzell Bumpus, at their Bloomfield New Jersey home. Instead, Asperger’s syndrome will simply be known as ASD-Level 1 (mild), a top rung in the ladder of autism spectrum disorders. For those who viewed an Asperger’s diagnosis as light-years away from clinical autism, this new classification may feel like a fall from grace. Timothy Bumpus, a 14-year-old high school student from New Jersey, says he understands his condition falls into the autism spectrum, but prefers to define himself as a person with Asperger's, not autism. An honors student at Bloomfield High School in New Jersey, Timothy's intellectual complexity is evident even during idle conversation; he moves fluidly from subject to subject with eager, thought-provoking and quirky insights. Possessing an IQ of 140, he attends mainstream classes and has a sociable demeanor. Certain tasks, such as tying his shoes or riding a bike, however, are challenging for him. “That’s okay, because I really don’t see the point in riding a bike,” he says cheerfully. Catzell Bumpus, Timothy's mother, feels her son's future is bright because of – not in spite of – his differences. Knutesen believes parents should accept the APA's decision to classify Asperger’s under the umbrella of autism (where it’s always been clinically) and that parents with children on the autism spectrum should focus less on labels and more on advocacy. “I think if there’s a definition of Asperger's and you fall into that, then you’re part of the party,” says the 52-year-old advertising sales executive. “If a different name makes you feel better, okay, but you’re still part of it. And you should be an advocate for it. Ari Ne’eman, president of the Autistic Self Advocacy Network and a presidential appointee on the Council on Disability, says he's seen children with Asperger’s reassured by their families, "you’re not really autistic." Lori S. Shery, president of the Asperger Syndrome Education Network (ASPEN) in Edison, N.J., says she understands how wide the divide can be between parents of Asperger’s children and those with severe forms of autism. "When I started ASPEN, there was an agency -- who we have a lot of respect for -- that was serving all individuals on the spectrum," she says, explaining that parents of higher functioning Asperger kids would be sitting side by side with parents of severely autistic children. "The parents of the severely autistic children -- not meaning to be cruel -- were saying, 'Why are you complaining? My kid doesn't talk. My kid's still in diapers. I wish my kid had what your kid has.'" "We're hearing it from both ends," says Shery. 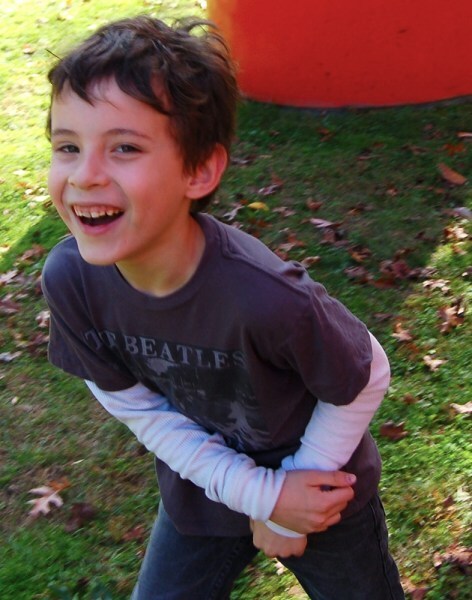 "Parents of the classically autistic kids are resentful. Why would you lump them in the same category? Their needs are not the same. Their prognosis is not the same." Nonetheless, autism experts and advocates like Ne’eman say they are hopeful that the DSM-5 will ultimately be beneficial because the more general diagnostic criteria means more children will be entitled to educational, medical and social services. “This is an improvement for anyone who is covered under the new unified diagnosis," he says. Ne’eman admits, however, that there may be some individuals who risk losing coverage, depending on how clinicians interpret the new diagnoses. Shery concurs, saying the group she would be most concerned about would be children who fall under the heading of "Social Communications Disorder," a new category in the DSM-5. Children who are diagnosed with this disorder demonstrate some -- but not all -- characteristics of autism, she explains. The good news for many parents is that some of the most common neurological conditions that are covered now, including dyslexia, attention deficit disorders (ADD and ADHD) and disruptive mood dysregulation disorder (DMDD), to name just a few, are expected to be covered under DSM-5. Shery, however, still has misgivings. Eric Knutesen, Grey’s stay-at-home dad, expresses a similar concern. Ne’eman, who on behalf of the Autistic Self Advocacy Network communicated closely with the American Psychiatric Association's task force to revise the diagnostic manual, says he is "cautiously optimistic" that the new DSM-5 will be advantageous to the vast majority of people with autism. "We feel the fundamental shift from multiple diagnoses to a single diagnosis was the correct decision," he says. "We want to make sure everyone is covered. That’s our primary concern."